This report summarizes useful techniques for implementing scientific programs in C++, with an emphasis on using templates to improve performance. This is the (work in progress) book "Algorithms for programmers". Publication is planned for the year 2008. Your feedback is appreciated. Contents: 1 It's Easy; 2 How a Key Opens a Lock; 3 The Flatland Model; 4 Basic Picking & The Binding Defect; 5 The Pin Column Model; 6 Basic Scrubbing; 7 Advanced Lock Picking; 8 Exercises; 9 Recogni . . . . . Learn the latest object-oriented design patterns needed to create sound software designs Author Bruno Preiss presents the fundamentals of data structures and algorithms from a modern, object-oriented . . . . . Contents: # : Computers and Symbols versus Nets and Neurons # 2: TLUs and vectors - simple learning rules # 2(s): TLUs and vectors - summary # 3: The delta rule # 4: Multilayer nets and backpropag . . . . . 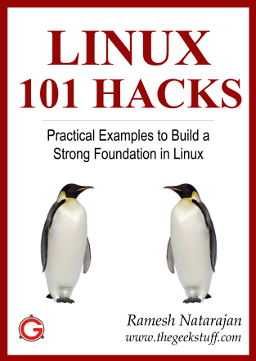 Contents: Powerful CD Command Hacks; Essential Linux Commands; SSH Commands and Tips; Date Manipulation; PS1, PS2, PS3, PS4 and PROMPT_COMMAND; Archive and Compression; Command Line History; System Ad . . . . .
Cours de programmation en langage C Les notions nécessaires sont introduites progressivement au cours des pages(139 pages) et approfondies par la suite. Contents: Fundamental Properties of Cbits and Qbits; Quantum Computation: General features and some simple examples; Breaking RSA Encryption with a Quantum Computer: Shor’s Factoring Algorithm; Searc . . . . . The purpose of this book is to help you understand how to program shared-memory parallel machines without risking your sanity.1 By describing the algorithms and designs that have worked well in the . . . . . 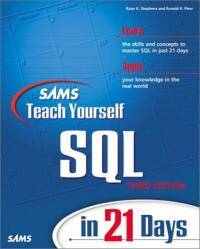 Fully updated and revised to include coverage of PL/SQL and Transact SQL. this easy-to-understand guide teaches users everything they need to know from database concepts and processes to implementing . . . . . The best book to learn C++ and object oriented programming. This set of 29 worksheets covers several topics presented in an undergraduate course in Cryptography. Each worksheet provides exercises to further assist in understanding the concepts presented. Dr. M . . . . . The PHP server-side scripting language and the MySQL database management system (DBMS) make a potent pair. Both are open-source products--free of charge for most purposes--remarkably strong, and capab . . . . . This book has been written with the goal of making the task of learning PHP something fun. It contains lots of information for newcomers as well as information on advanced functionality in PHP for vet . . . . .